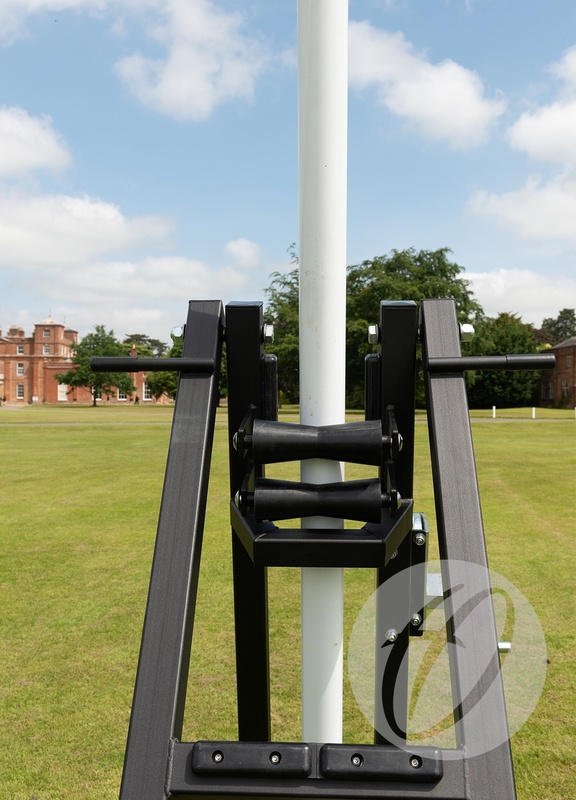 This winched rugby post lifter system is designed to enable safe installation and dismantling of our hinged rugby posts. 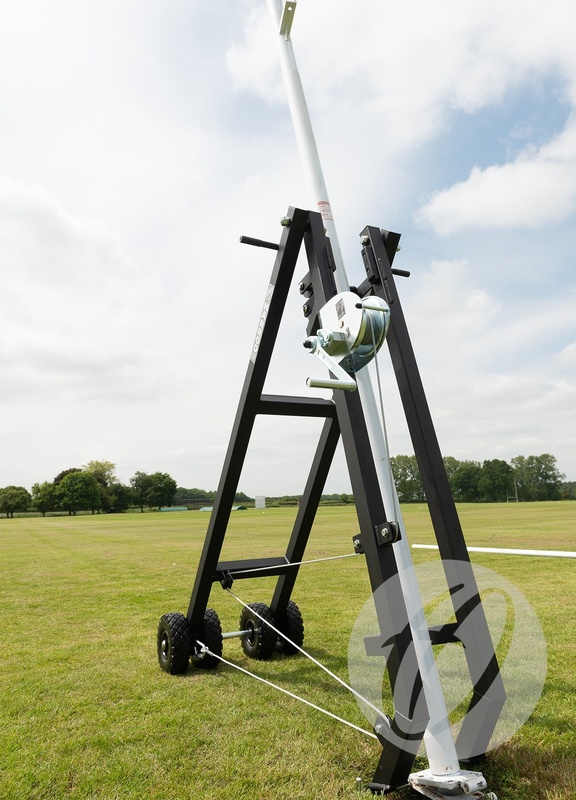 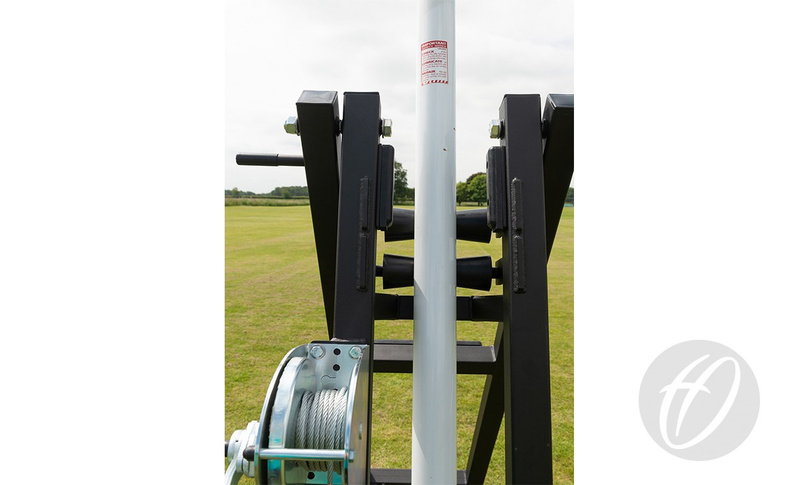 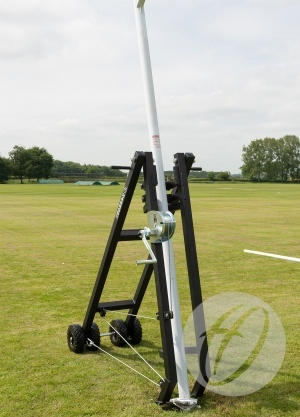 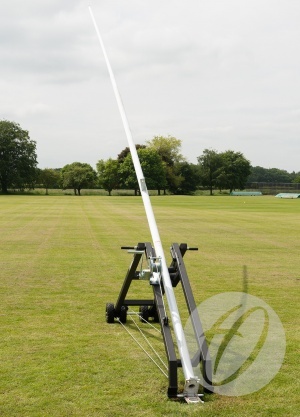 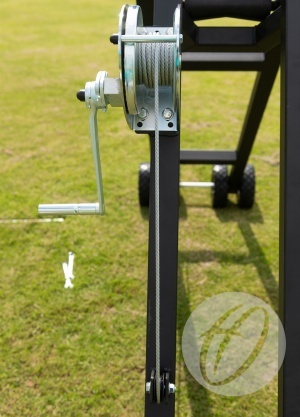 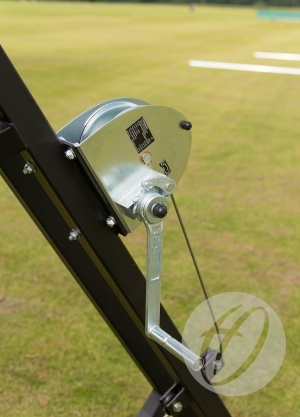 This device is used primarily for hinged Millenium Rugby and Aluminium Rugby Posts. 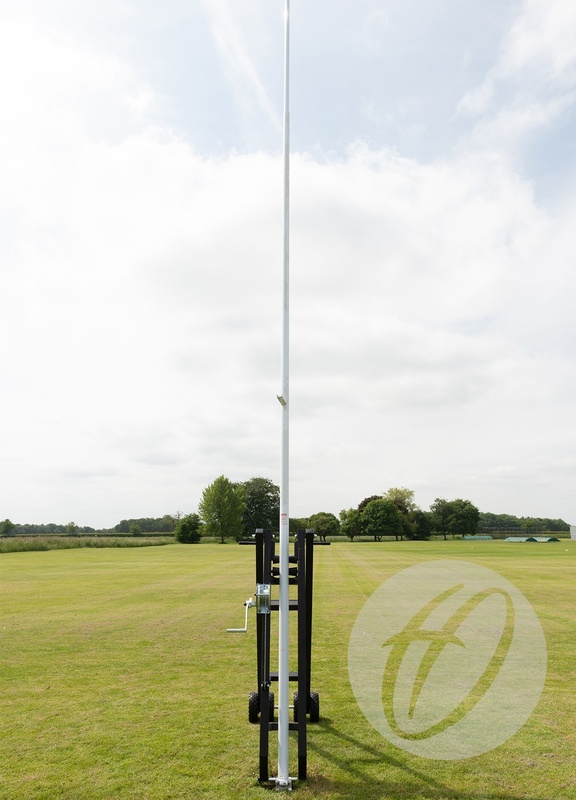 This new design allows for groundsmen to raise their hinged rugby posts without the need for a tractor or other motorised vehicle. 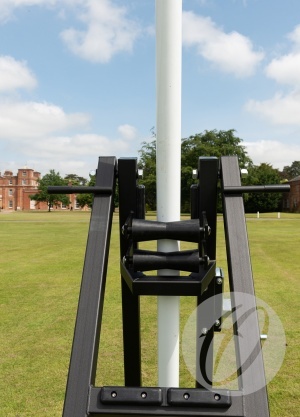 The post is raised using a 650kg winch and 6mm galavanised wire rope, working in conjunction with a pulley system. 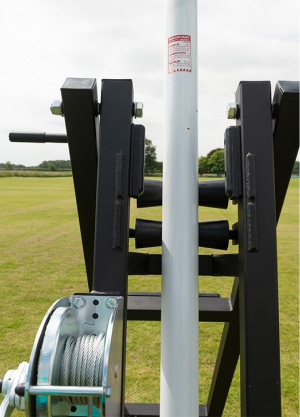 A minimum of two people are required for this assembly. For use with our hinged Millenium Rugby and Aluminium Rugby Posts. 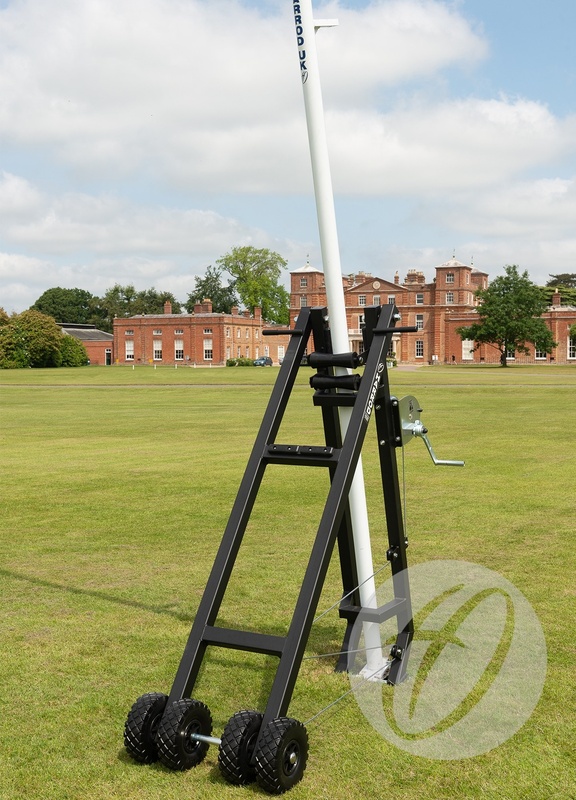 Designed so that the use of a tractor or motorised vehicle is not needed. A-Frame dsign consists of 60mm steel box section. Please note: This rugby post lifter is for use with hinged rugby posts only.